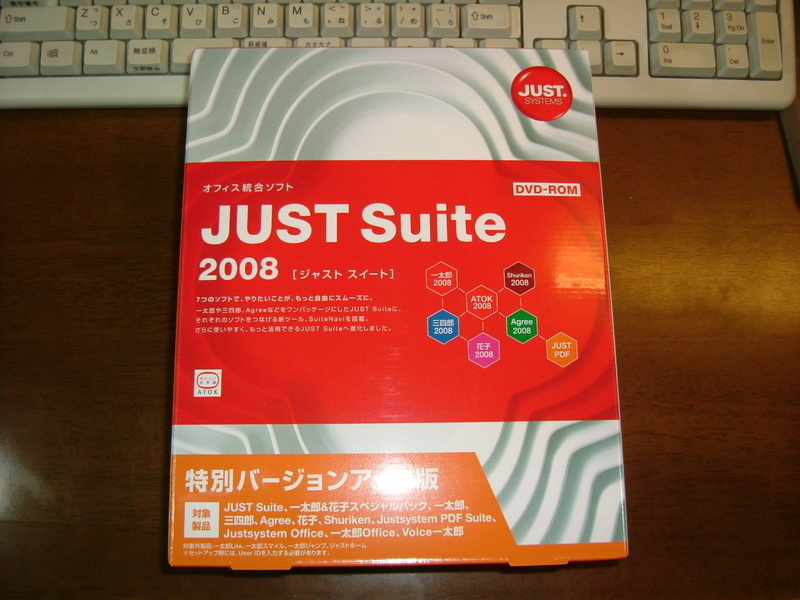 I have been using Ichitaro, a word processing software, like the wordstar in English-speaking lands. In the DOS era, Ichitaro had a large market share, but as Windows became dominant, the share was considerably taken over by Microsoft Word. However, the ability to handle Japanese sentences is better in Ichitaro than in Microsoft Word, and moreover my fingers are much more used to Ichitaro than Microsoft Word. That's why I have used Ichitaro for 20 years. Ichitaro has been upgraded every year lately and I upgraded it this year for the first time in 4 years. The picture shows the package of the newest version of Ichitaro. Ichitaro has dozens of supporting softwares and Koujien's DVD version is one of them. This dictionary is the most popular dictionary of Japanese words and has a considerably dominant market share, but to my regret it is edited by people who have been heavily influenced by Chinese communism. I've never allowed my daughters to use this dictionary, especially in looking for current affairs so as not to be brainwashed. Nowadays this issue is coming to the surface. I hope many Japanese people have noticed this fact. If you are Japanese, try to look up "日中共同宣言, the mutual declaration between Japan and China" in Koujien. 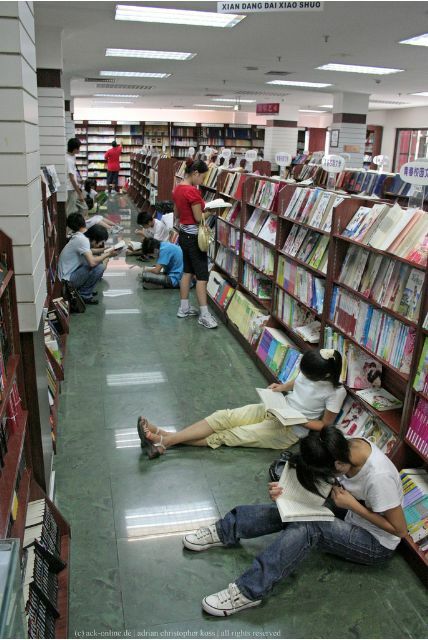 You will be surprised to know how Taiwan is described in it. I've attended an English conversation class for a year. I had the opportunity to talk in English for one hour a week. I can understand TIME magazine and listen to the TV news, but it's hard to speak English with easy words like "get", "make", "come", , , and also hard to listen to colloquial English. I can hardly follow the comments made by baseball players after an exciting game. They speak rapidly and use informal or slang English. 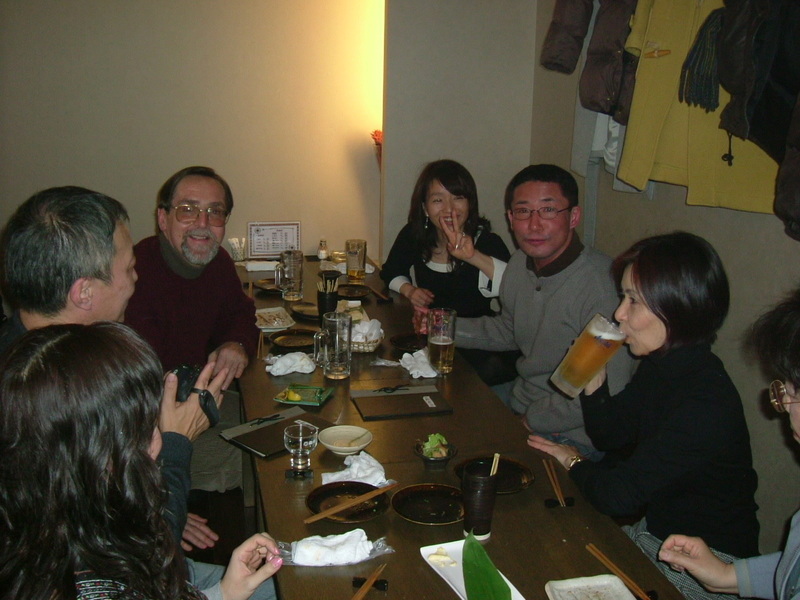 At any rate, my teacher decided to go back to the U.S. after 18 years' stay in Japan. Today was his informal farewell party that was held by his class. Though the formal one will be held on 29th sponsored by the school, I will be flying over the Pacific ocean at that time on the way back home from Vancouver and I can't make it to the party. I wish him success in his new business and we'll see each other again some day. I found a funny sign in the castle. 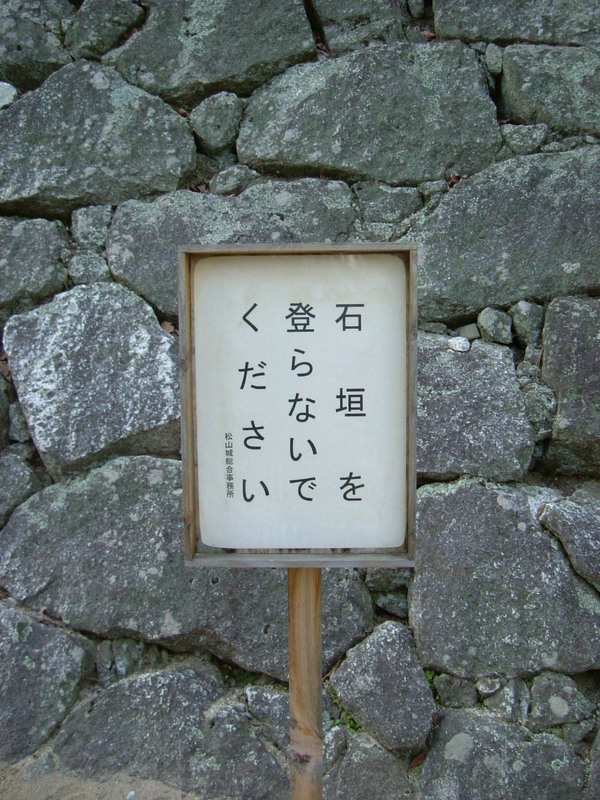 It says "Don't climb up this stone wall!" 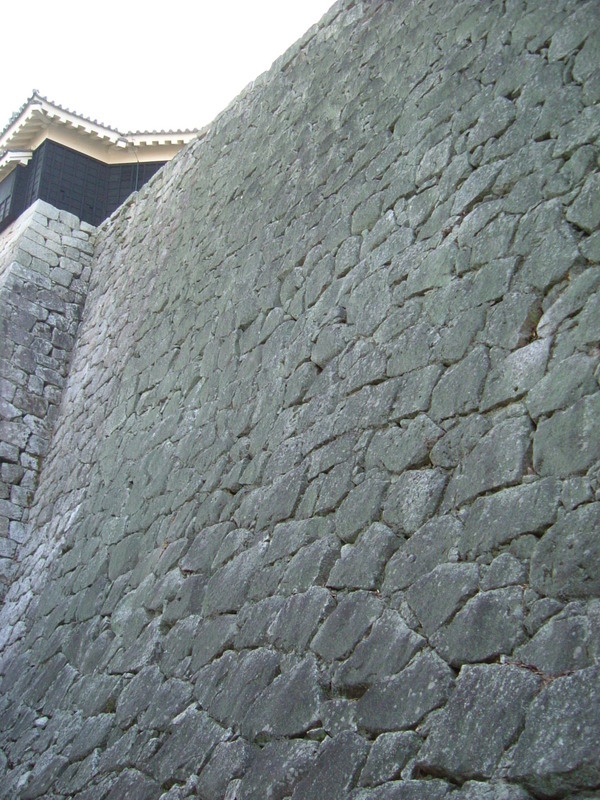 Everyone thinks who would try to climb up such an overhanging wall. To tell the truth, when I was about ten I tried. I just wanted to play cool in front of my girlfriends. I think it was foolishly reckless. As I went up to about 5 meters high, I became frozen to that level. In the end two police officers and some firefighters brought a long ladder and rescued me. He is a hero from the Russo-Japanese War along with his brother, Yoshifuru Akiyama. If these two heros hadn't shown up at that time, Japan would have lost the war. As a result of the defeat in the war, the northeastern district of China and the Korean Peninsula would be occupied by Russia and also Japan. I'm really grateful to them and felt a little happy to know about his feat, because it was just like my feat. I'm a surgeon and also an industrial physician. Have you heard of industrial medicine? This is a medical science for people who work. There are many kinds of industries in Japan and some people might get injured on their job. Industrial medicine is to keep their working conditions away from anything bad for their health. Enough illumination? Clean air in the office or factory? Any irritating noise? Any work related disorders? Any mental problem? From these points of view, industrial physicans work in companies and give advice to the employers. Authorities oblige the companies that hire twenty or more people to have a contract with industrial physicians based on the company size. Consequently, this requires a significant number of industrial specialists and clinical doctors like me come to be in charge. For this reason, I have to attend the training sessions on industrial medicine about twice a year. I've had lectures in various places, like an atomic power plant, a fire department, a petrochemical complex, a seafood processing factory and so on. Today's lecture was in Matsuyama Castle administration office, one of the municipal facilities. 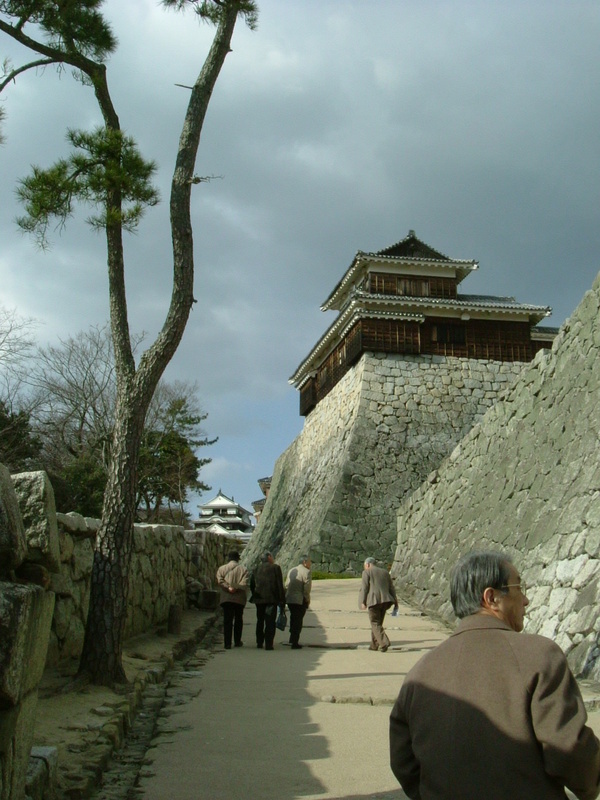 The picture shows members going up to the top of the castle. An aerial tramway runs between the top and the bottom of the hill and the condition of the employees who get in the gondola daily was one of our topics of today's lecture. Many of my good friends from my high school and medical school sometimes tell me that I must have nothing to regret in my career and life even if I died right now. They pre-supposed that I've done everything I wanted to do, but it's not true. I have many things that I'd like to do. At first, I'm planning to go skiing at Whistler in Canada in March. I'm learning English harder these days. I think I'm good at reading English, but not so good at speaking. I'm a slow starter in English conversation. It takes about 30 minutes to be able to think in English. 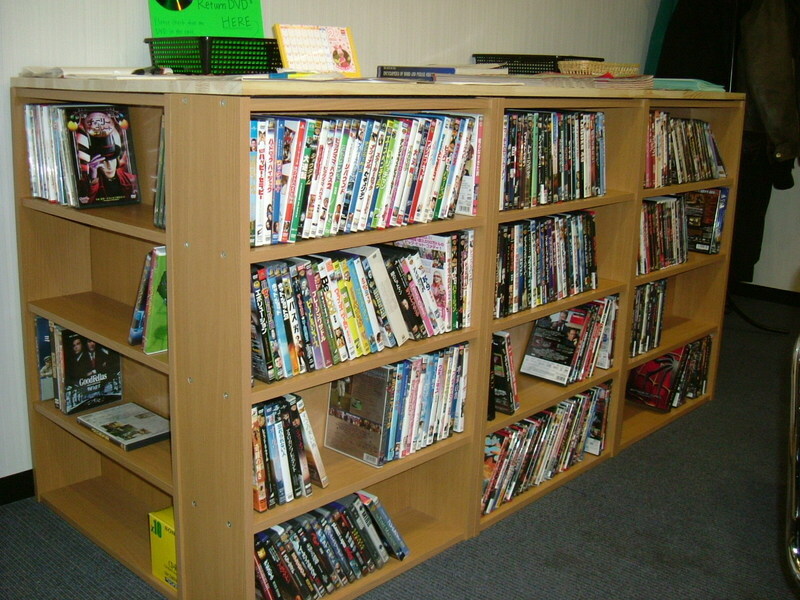 The picture shows the DVD library in an English conversation school which I belong to. I have often borrowed and watched these for training to hear. After returning to Japan from Canada, I have to switch my priority of learning a language from English to Korean. 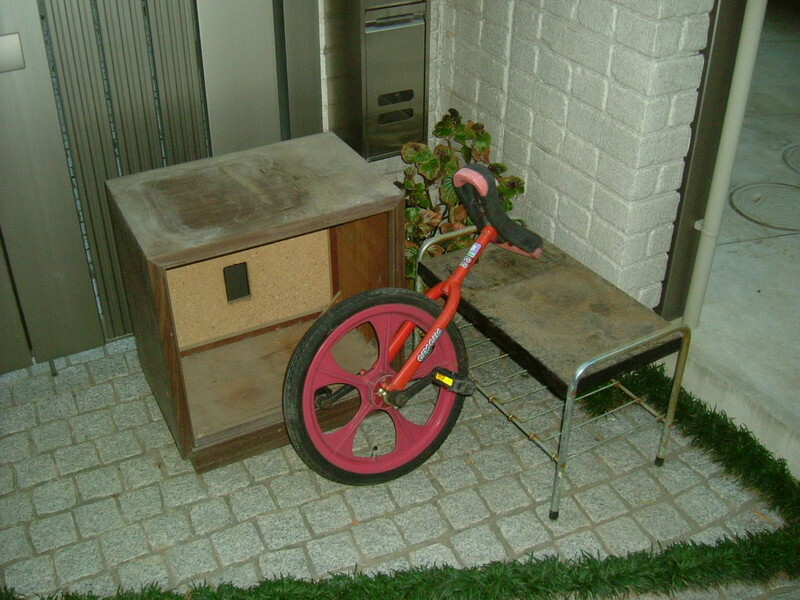 It's because a Korean rider will come to my house on the last Saturday of June. He is a postgraduate student and his major is Japanese culture! He's going to travel across Japan on his motorcycle. I hope he will see what Japan is like. In October, I'll join the WRC as one of the medical staff. If I had an opportunity to talk with German drivers, I'd like to try to use German. I'd like to know how much I can make myself understood in German. During 4 months from July to October, I'll be immersed in learning German. I received an interesting present on Valentine's Day. The giver is a nurse in my hospital who has a cat. She is crazy about cats. 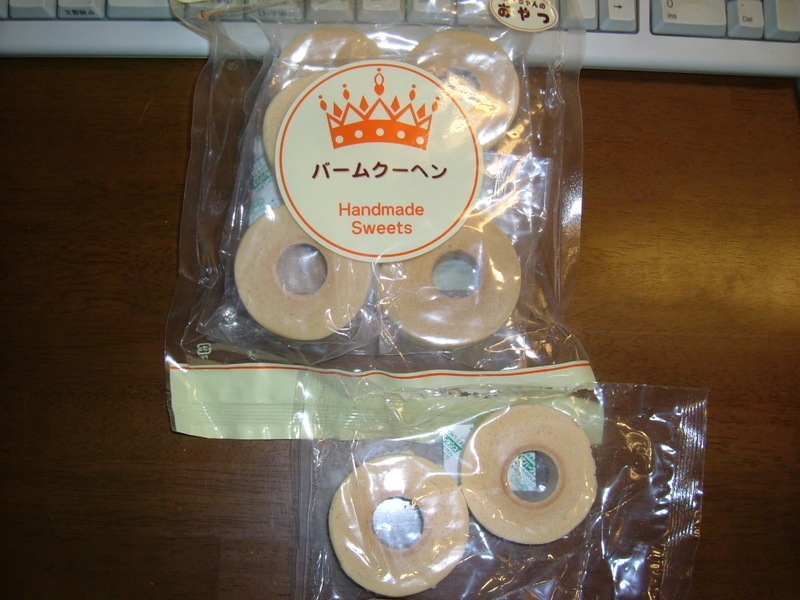 The gift from her is a cookie for dogs, which is shown in the picture. Many women present chocolates to men on Valentine's Day in Japan. Originally they gave chocolates to their husbands, lovers or some people like those, but now they give chocolates to their co-workers or men around them. It seems like a rite. A and I took our ski outfits out of the garden shed for the first time in two years. We cleaned them up two years ago and put them in the shed just after coming back to Japan from Canada. Two years have passed since then. A has got bigger, and she is fifteen years old now. (She'll turn sixteen in Whistler.) The skis that A used last time aren't suitable for her weight now. I decided to make her use her sister, Eri's skis. We went skiing today for A to try the new skis. Eri's skis were a better fit than A expected. We asked a repair shop to tune up them. Our skis will come back in the middle of March. We'll pack them as they are. 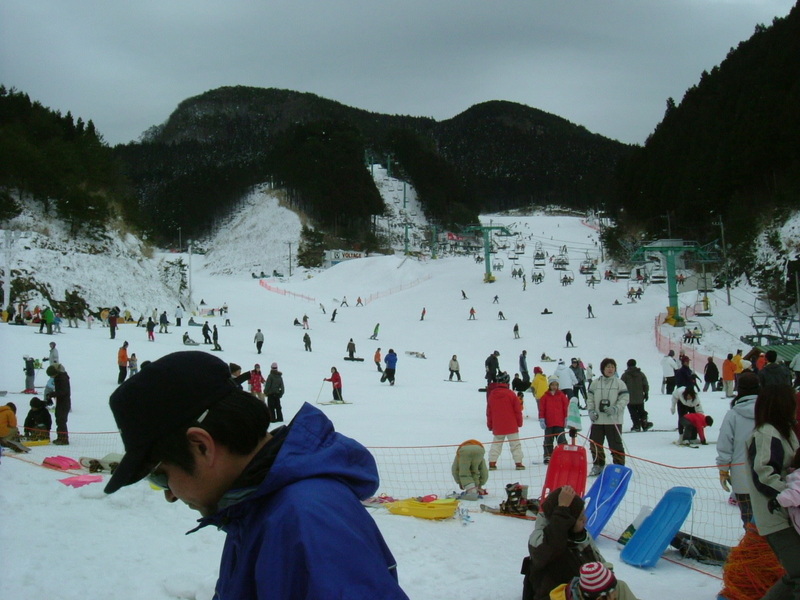 The picture shows the nearest piste from my hometown. As you can see, this is a very small ski area. You'll easily understand why we are enchanted with Whistler & Blackcomb ski resort. The book in the picture is my grammar textbook that I used in my junior and high school days. It is worn and mended with scotch tape. My youngest daughter found it in the storage room and was checking inside the book that her father had used at the same age as her. I'd no idea about what she felt after seeing it, but she seemed to know that her father was struggling to acquire English skills and it was not easy to have entered the national medical school. She's looking forward to visiting Canada next month and also learning English very hard. 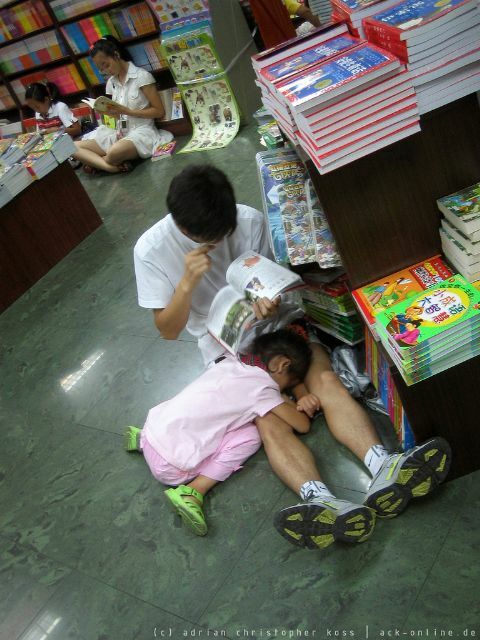 Finding this book might be a good silent lesson for her. Fortunately I knew how to write messages on a blog. I have kept on writing this blog for the past two odd years. Now that I have decided to write messages in English, I chose a blogging service company based in the U.S. This company, TypePad, is nice in various ways, I think. A few weeks ago I wanted to add another RSS feed in my blog, but I couldn't. I knew they permitted only one RSS feed in my course, "TypePad Basic" at that time. This made me check other blogging services and I found they had a branch in Japan, "TypePad Japan". It didn't take so much time to decide to move my blog from the original site to TypePad Japan. Please modify your bookmark from " http://kumo.typepad.com/" to "http://kumo.typepad.jp/". It's very easy. You have only to modify from "com" to "jp". I performed surgery on a patient suffering from cerebral thrombosis. He had thrombosis in his left hand too at the end of last year. Our medical team gave him intensive treatment and everything that we thought was good for him, but we couldn't save his hand. Finally I had to amputate his left hand today. I've performed more than ten amputations of the lower leg of patients with arteriosclerosis obliterans, critical infections and malignant tumors. However it was my first case of having to amputate a hand. This surgery was inevitable, but I don't like such kinds of operation in which I surely deprive the patient of his/her ability and those abilities never come back to the patients. I refrain from showing you the amputated specimen because some of you would get sick and be troubled with a nightmare. Trash separation is strictly required in almost all areas in Japan. We have to reuse as many things that can be reused as possible because Japan isn't well blessed with natural resources and we have to deal with environmental problems. I wonder how garbage is treated in other countries. I heard that all the trash is thrown into the incinerator in England. Is that right? If someone knows the answer send me an e-mail. If I wanted to throw away something big, I have to apply for its collection in my city. About a month later, the permission stickers will be sent to me. I am supposed to stick those on oversize trash and put the trash in front of my house on the prescribed day. The picture shows oversize trash that is put at the back of the gate. This trash was put in front of the gate the next morning. It was nice weather today. I rode my scooter for a change and I put gas in the scooter. At this time a naive idea came up after seeing the logo of Showa Shell Sekiyu, a Royal Dutch Shell related company. Is this "Shell" that "shell" which is in the phrase "She sells sea shells on the seashore." ? I investigated the history of Royal Dutch Shell on the internet and was astonished to understand the origin of this company. An English Jew founded the Shell Corp., the precursor of Royal Dutch Shell in YOKOHAMA in 1897 just after the Japanese-Sino War. His name was Marcus Samuel, born in London as the son of a poor ambulant vendor. He came to Yokohama in Japan in 1872 when he was 16 years old. All his funds were only 5 pounds at that time. He succeeded in his business that made buttons or small toys from Japanese shells and exported them to the U.K. This means the shell of "Royal Dutch Shell" is a Japanese shell. After he was very successful as a trading merchant in Japan, he worked on the exploration of oil wells in Indonesia and hit the big time. As I wrote at the top of this entry, he established the Shell Corp. in Yokohama-motomachi in 1897, and this company developed into the Royal Dutch Shell which later merged with the Royal Dutch Corp. He supported Japan in Japanese-Sino War (1894-95) in collecting and transporting of military materials and food for soldiers. When the Japanese government changed silver standard system to gold standard in 1897, he helped the government sell Japanese bonds. He was awarded a decoration by the Emperor. He returned to London in 1902 and became the mayor of the city. Some researchers assume that he might have supported the conclusion of the Anglo-Japanese Alliance behind the curtain. 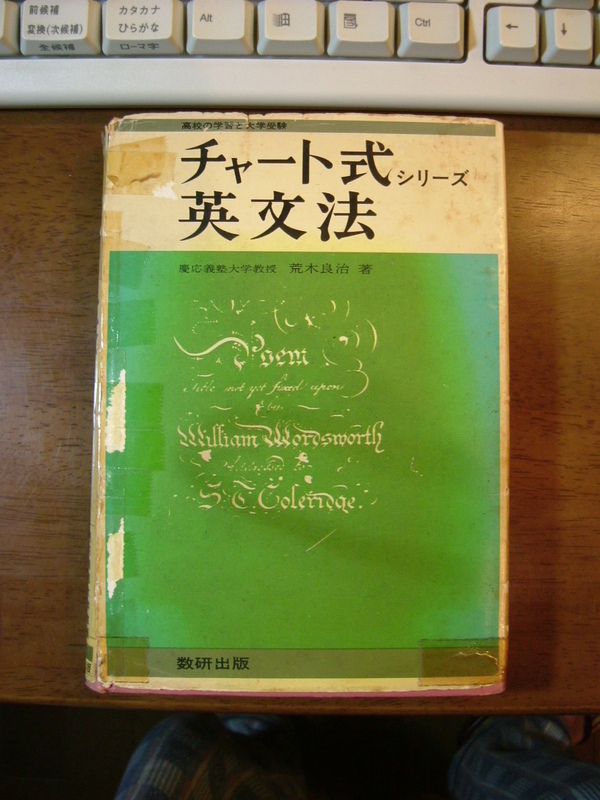 I'm going to read some books handling the relationship between Japanese and Jewish people and mention my opinion here. Female or Black? Such an issue is only superficial. His or her view of the world is correct or not? Anti-Japanese or pro-Japanese? Flatterer or having an affinity for China? These are the problems. During the next four years, the power of the U.S. will decrease drastically, I suppose. Some huge streams that affect world history will happen, like the tragedy of the era of former President Carter, 1976-1980. President Carter was born in the atmosphere of being weary of war and acknowledgement of the decline of th U.S. He declared at first he would pull the U.S. Army back from South Korea and made Asian countries feel doubtful about U.S. policy. He didn't intervene in African countries when the government was overthrown in Mozambique. At last his policy resulted in the Russian invasion of Afghanistan. You might wonder why I remember him like this. That's because I'd met him in Kanagawa prefecture where Commodore Perry arrived in 1853. I was a university student at that time. I wanted to meet him and I attended the meeting. I remember as if it was yesterday that I couldn't understand his English due to his strong dialect.